Working closely with DFA Media we are happy to announce our double page spread inclusion in BFPA’s 2019 Yearbook. 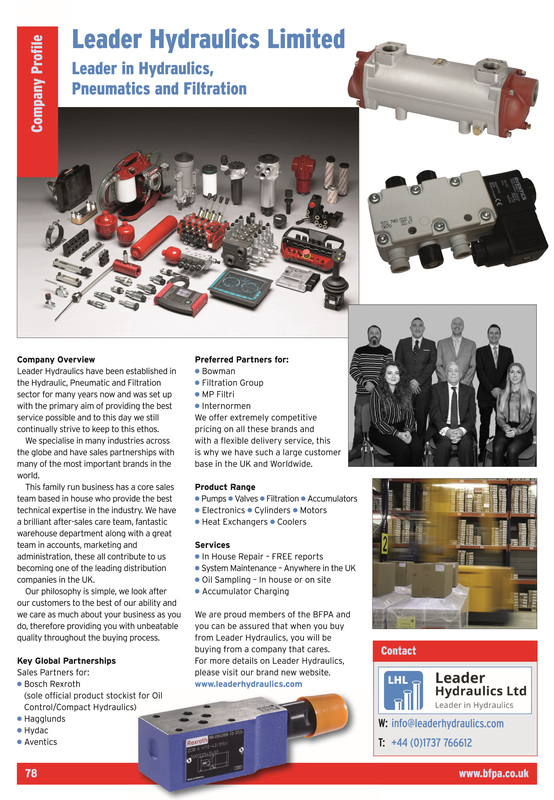 With Leader Hydraulics continuing to grow as a brand this is another example of the developments being made to secure our ethos of reliability and expertise. We have plenty more announcements pending on the horizon so please keep an eye on this space, will be another exciting year for Leader Hydraulics.